﻿ Chicago Hispanic Newspaper, Lawndale News, Hispanic Bilingual Newspapers, Su Noticiero Bilingue » Are Mexico’s Mom and Pop Stores Disappearing? April 24, 2019 9:29 am You are here:Home Commentary Are Mexico’s Mom and Pop Stores Disappearing? 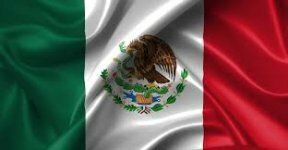 Posted by Editor on December 28, 2017 in Commentary | Comments Off on Are Mexico’s Mom and Pop Stores Disappearing? When I used to visit Mexico, I would always see what are called the abarrotes, or mom and pop convenience stores. They were all over the place. Popular among the people, they served and still serve as the local store for the neighborhoods they are located in. It is believed that two million people own these type of stores, and that these stores employ five million people. The abarrotes have been a fixed icon for decades, and many believe this will remain so for the foreseeable future. However, corporate chain stores such as Oxxo and 7-Eleven have been changing the landscape in not only Mexico’s cities but also in the small and large towns that used to be dominated by the abarrotes. This should come as no shock—the owners of abarrotes are usually poor and have a fixed amount of capital. It is hard if not impossible for them to add more variety to their businesses simply because they cannot. The one advantage they have is that ordinary people know the owners of these stores and that this personal connection helps to keep these stores afloat. Another advantage is that the abarrotes are open in places where corporate chain stores may not be because these places may be considered too poor and inaccessible. Because of this, and their connections with the communities they are a part of, the abarrotes will not disappear anytime soon. They are under threat from the better financed and organized big name chain stores, and also the changing habits of Mexican shoppers. But for now, the abarrotes still have a niche in Mexican society and in the Mexican heart.